Oh, the joy of waking up on Easter morning to a basket full of treats just for you. Your very own chocolate, marshmallow, and jellybean picnic! Yum! Yes, this was our policy this year. Not because we thought it was an especially wise parenting choice, but because we did the limiting beforehand by only giving a small amount of candy in each basket. In our post-spring-break-traveling daze, we really just didn’t have the energy to enforce rationing. Of course, we also didn’t have the energy to deal with the consequential sugar-highs, lows, and tummy aches, but at least we knew they were coming ;). Unlike my experience last week in Vermont. I was staying at my parents’ house and on the first morning I was there, I woke up and decided to make myself some coffee. At home we have a single-serving coffee-maker and I can’t even tell you the last time I made a “pot of coffee”. But I wanted my precious morning brew, so I gave it a try. I like my coffee strong (I have nightmares about weak coffee), so I looked at the brewing suggestions on the package – and then added a few extra scoops. Caffeine and I have a love/hate relationship, but it was ‘vacation’ – I had no stressful plans and few responsibilities that day, so instead of limiting myself to half-caff, I gave myself the freedom to indulge! But two cups and a couple of hours later, I felt like someone had thrown me on one of those amusement park teacup rides, locked me in, set it to high speed, and wouldn’t let it stop. I was dizzy, nauseous, irritable, and unable to focus. I was a mess and there was no way out. I felt completely trapped as I desperately waited (several hours) for the effects of my bad caffeine choice to wear off. I love the picture of Jesus rising in victory, defeating darkness and death, “with our freedom in hand”. Though our disobedience made us “by nature deserving of wrath” (Ephesians 2:3) and facing a spiritual death penalty (Romans 6:23), Jesus stepped in on our behalf to not only be “delivered over to death for our sins,” but to also be “raised to life for our justification” (Romans 4:25). Because the tomb is empty, we are free. But what does “free” really mean? Most importantly, of course, it means we are free from the spiritual consequences of our sin. We no longer have to live in fear that God won’t accept us because of what we’ve done or ‘just hope’ that we’ll be ‘good enough’ to make it into heaven – Jesus took all of the punishment we deserve upon Himself and, by simply trusting in that, we are acquitted of all charges. We have been released from the prison of trying to ‘earn’ our way into a relationship with God or a spot in eternity with Him! In Galatians 5:1, Paul says, “It is for freedom that Christ has set us free. Stand firm, then, and do not let yourselves be burdened again by a yoke of slavery.” The Galatian believers had been led to believe that Christ’s death and resurrection were not enough to fully save them, and Paul was warning them that going back to an ‘earning’ mentality was like receiving your freedom and then willingly walking right back into prison. Living a ‘free’ life means I am free to be myself. I am free to come to Jesus as I am – in all of my weakness and mess – and know that I am accepted by Him. I’m free from living under the weight of rules and regulations I can’t seem to measure up to. I’m free to throw off the facade that I somehow have it all together – or that I ever will. But living a ‘free’ life also means I’m free from myself. There’s a temptation to think: “Because I live in freedom, I can do whatever I want. A lot of those Christian ‘rules’ are outdated and unrealistic, anyway.” It’s tempting to think that freedom means throwing off the limits God has put in place – especially in those ‘gray areas’ where we don’t really know for sure what He has to say. But just like last week’s caffeine overdose, I always find that the freedom to do whatever I want just leads me right back into a different prison – the prison of my self. This prison seems so relentlessly enticing and promises me lots of exciting, comforting, and fulfilling things. But as soon as I give in and walk in the door, I find myself trapped. Because by doing whatever I want, I have only become a slave to myself. Our freedom from spiritual death was purchased when Jesus paid the price for it on the cross, but it’s the power of the resurrection living in us that gives us the hope of freedom from ourselves. 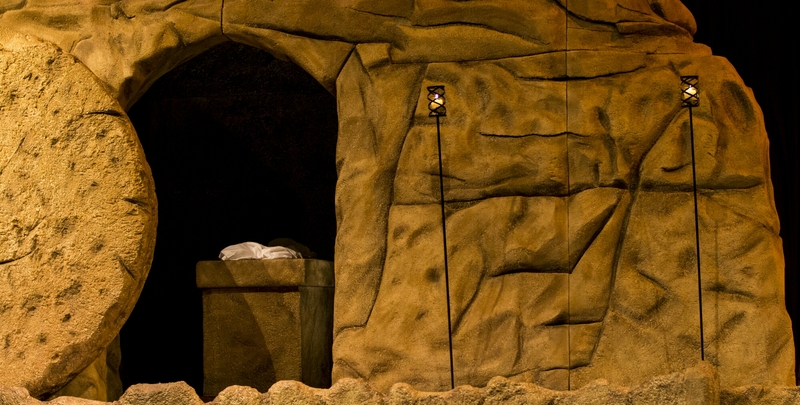 Because the tomb is empty, I am no longer on an aimless search for things that will gratify my own desires and needs – I’m free to say “no” because of the “incomparably great power” God has given to me, which is “the same as the mighty strength he exerted when he raised Christ from the dead” (Ephesians 1:19-20). Because of Christ, I am free. I’m even free to enslave myself again. But I’m also free to not. When the focus is on me I will be imprisoned either way – in the self-indulgence of following the rules for my own gain or the self-indulgence of discarding the rules for my own pleasure. But in Christ I’m free to shift the focus off of me and move it onto Him instead, because that’s the only way I’ll ever truly be free. How is it possible that I can take my completely untangled ear buds, put them in a drawer for a week, and then pull them out and they look like this? No one even touched them! I’ve done the research and no one seems to be able to give me a good explanation other than the fact that it’s inevitable. Basically (skipping the big words and mathematical formulas), whenever a cord is long enough to wrap around itself and form coils, it’s almost guaranteed that those coils, combined with any added friction or movement, will result in tangles and knots. After 30-something years of interacting with other people on this planet, I’ve learned that the same is true for relationships. Put any two people in any sort of close proximity and tangles and knots will result. It’s just inevitable that things are going to get messy. All of our relationship ‘statuses’ should say “It’s complicated”! Relationships are a regular source of pain and frustration in all of our lives. But a few weeks ago I came across a verse that I believe sums up, not only the nature of humanity, but our relationship problems as well. In Genesis 20, Abraham has, for the second time in his travels, decided to lie and tell people that his wife, Sarah, is his sister. He (again) gets found out, resulting (again) in conflict between him and the local rulers who feel they have been deceived. A big deal is made throughout Genesis about the actions of people and whose “voice” they listened to in making those choices. For example, Adam was cursed because he “listened to the voice of [his] wife,” (Genesis 3:17) and Rebekah told her son, Jacob, to “only obey my voice” (27:13) as they together deceived Isaac and Esau. As for Abraham, he unfortunately “listened to the voice of” (16:2) his wife as she tried to solve her childbearing issues in her own way. But he also, “went as the LORD had told him,” (12:4) and it was declared by God that “all the nations of the earth shall be blessed, because Abraham obeyed my voice” (26:4-5). It occurred to me recently that I may be unintentionally making the knots in my earbuds worse by trying, in hurried frustration, to untangle them. It seems like it should work, but as I haphazardly grab parts of the cord and start to pull, I’m actually tightening the knots that already exist and creating more along the way. I truly believe that most of the pain we cause each other in relationships is not intentionally malicious, but rather a whole lot of “I did it because I thought…”. Instead of listening to the voice of God and His word, we choose to obey our own thoughts of emotion, self-protection, and ‘common sense’. In Jesus’ teaching alone, He offered us so much help! But, most of the time, when we see a knot (or at least what we perceive to be a knot), we start grabbing and pulling – doing what we think should work. But in the end, we only make things worse. It amazes me how easily I fall into the trap of listening to my own voice. 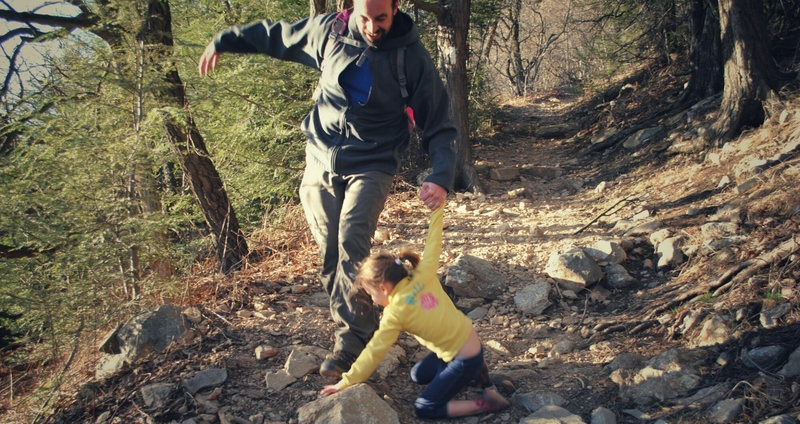 “I did it because I thought…” decisions are an all too common occurrence in my relationships – even when I know I’m the one making things complicated! 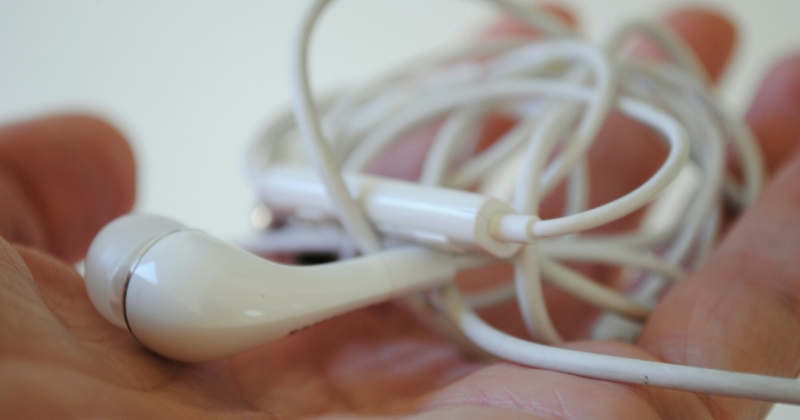 One of the ‘tricks’ suggested for untangling earbuds and other cords is to realize that they may not be as tangled as you think. So, instead of grabbing and pulling, try simply taking one end in your hand and dropping the rest. As they fall, many tangles will roll right out and you’ll be left with a lot less mess in the end. I immediately seized the opportunity to turn this into a teachable moment for my engineering-minded 9-year-old and, of course, validate our “educational” reason for missing three days of school (you can’t just take a “family” trip anymore :/). As the sign says, “We are grinding corn on the original French Burr Stones installed in 1876, powered by the Chattahoochee River.” The really cool thing is that not only were we able to see the stones spinning and the corn being ground, but we were also able to walk out back and see where the water from the river was being used to move the gears that made those stones turn. We learned from one of the store employees that before the Industrial Revolution, mills like this one were built on the banks of rivers in this area in order to take advantage of the natural power the moving water provided. The constant flow of water, when correctly channeled, has the power to rotate those 1,500lb stones approximately 100 times per minute! As human beings we have the power to be productive. Not only are we physically able to make things happen, but we are also mentally and emotionally able to make decisions, manage relationships, and accomplish goals. Most of us, though, at some point in our lives question the effectiveness of our individual personality in those areas. Sometimes it just seems we could be so much more productive if we were like that guy or get better results if we were like that girl. About two years ago, after noticing a regular pattern of spiraling emotional meltdowns in my life, I decided to start seeing a counselor. I had begun to dread the most important aspect of my work – youth group – as well as all other social events. As a person highly involved in ministry – at a church – with people – this was not good! But the diagnosis was quick and the source of the meltdowns pinpointed right away: I was officially an introvert. I had known about this diagnosis since my college years – that being around people drains my energy and alone time recharges it. I had always held on to the hope, though, that I was going to be “cured” – that as time passed and I gained more experience and stepped out of my comfort zone as much as possible, God would fix me. Surely He would make me more outgoing, talkative, and socially comfortable so I could be more effective in ministry! But six months of appointments (and a hefty chunk of change) later, I finally came to the realization that this part of my personality was never going to change – it’s just who I am. I’m always going to be anxious about social events, always going to feel uncomfortable talking to people I don’t know well, and always going to spend an unreasonable amount of time thinking about what I’m going to say – and then not actually saying it. And there’s a good chance that God’s going to work through me anyway. Jacob was a “quiet” man. Other uses of this adjective in Scripture have to do with a person’s moral character, but most commentators agree that this one is meant to describe Jacob’s even-tempered and contemplative personality in opposition to his more aggressive and impulsive twin brother, Esau. It’s because of potentially-introverted people like Jacob, more out-going people like Esau, and a long list of others, that we see God do some really cool things – He channels the power of the personalities He placed within them for His purposes. Sometimes He uses people in spite of their temperaments or preferences and sometimes He uses those exact temperaments and preferences to accomplish very specific things in His Kingdom. As we’ve been driving around for the past few days in Georgia and North Carolina, I’ve been seeing rivers and waterfalls in a whole new way – untapped power! And when I look around at our churches and our world, I see the same thing – so many people sitting back and thinking that if only they were more like so and so or if they weren’t so shy or so loud then God could be using them, too. But nothing could be further from the truth! God created you to be exactly who you are and placed you exactly where you are for a very specific purpose. He wants to channel that power – that loud and crazy or soft-spoken and shy or energetic and feisty or calm, cool, and collected power to keep the wheels of His church moving, producing more and more growth and love and redemption every day. I’m an introvert – I’ve fully come to terms with it, handed it over to God, and asked Him to use me because of it and in spite of it. Over the past couple of years, I’ve been able to narrow down my roles in our family, at church, and at youth events so it’s not all so overwhelming to me. I’ve even started playing dodge ball (very horribly – I’m not joking, I have absolutely zero aim) with some of the guys and a couple girls at high school youth group and it’s great, you know why? We just throw balls at each other and I don’t have to talk to anybody! I love it! You don’t need to be anybody else – you just need to be YOU. And God doesn’t want you to be anyone else either – that’s why He made you YOU. So embrace it and allow Him to harness the power of that personality – you just never know what He might do through you! I’m not a fan of bright lights. Sunglasses are a necessity to my everyday existence and you can ask my husband about my compulsive habit of turning off every light in the house (especially when people are still in the rooms). Fluorescent-ly lit areas and non-dimmable fixtures are my kryptonite. I’m also not a fan of the dentist. Don’t get me wrong, I actually like our dentist as a person – he’s a great guy – but the idea of walking into that office, laying back in a chair, and having a bright light pointed right at my face, exposing the dark places of my mouth to full examination is never something I look forward to. And thanks to the combination of my genetically cavity-prone teeth, a lifetime of inhaled asthma medication and allergy-induced mouth-breathing, and, of course, a refusal to cut sugar out of my diet – the diagnosis is rarely good news. For the past two weeks, I’ve been sharing with you my journey of moving from an every-once-in-a-while, when-it-was-necessary Bible reader to a daily-committed, whatever-it-takes student of the Word. It began with a decision to say “Yes” to God and was followed by a realization that a “Yes” to God always means a “No” to other things. Unfortunately, part three is one you probably don’t want to hear about. You can consider this my official warning that you may not want to continue reading this post – because what happened after I said “yes” to God and “no” to the world was not necessarily pretty. During my freshman year of college, I was on an incredible spiritual “high”. I had chosen Jesus, given my life to serving Him and now I was fired up and ready to go! I couldn’t wait to see how He was going to grow me and change me and use me to lead others to Him! It (I) was going to be awesome! In my mind, my time of being “in the light” was coming. Sure, I struggled to obey God fully then, but if I kept following Jesus, He was going to fix all that! There was a day looming on the horizon when I would get it all together and be living life in God’s light – and because of my obedience, other people would see the light and come to know Jesus! My future was SO bright. It wasn’t until the spring of 2014, though, that I understood what this song (and the verse the songwriters were referencing – 1 John 1:7) was actually talking about. When I first made my commitment to consistently spending time in God’s Word, I thought my time “in the light” was finally coming. I was finally going to get it all together! But what I didn’t know was that being “in the light” was less like basking in the rays of the warm sun on a gorgeous day at the beach – and more like walking into the dentist’s office for a check-up. When I started engaging my heart and mind with God’s words, I was willingly walking into His office, laying back in the chair, and letting Him shine His bright light into the dark places of my soul. And the report wasn’t good. It turned out the decay of my sin ran deeper to the roots of my being than I had ever imagined – and almost 20 years after accepting Christ, though some of my surface ‘cavities’ had been filled, I was still as much in need of a Savior as I was then – maybe even more. The word of God is a bright light. It reveals the splendor of His holiness and the radiance of His absolute purity. When you turn to face that light, exposing yourself to its beams, you can’t help but see yourself for who you really are. You can’t help but become increasingly aware of the self-protective and self-indulgent nature of your thoughts and actions (see Romans 7:18), the subtle (or not so subtle) misplacement of the desires of your heart (see Jeremiah 17:9), and the utter lack of trust in God that’s buried underneath it all (see the entire book of Genesis – or actually the entire Old Testament – or wait, yeah, it just keeps going…). Because of Jesus our sin is forgiven, but we must become aware of the fullness of our sin in order to truly understand why this grace is so amazing! I’m cringing because in less than two weeks the appointed day will come when those two teeth that have been on my dentist’s ‘watch list’ for a couple years will finally have the decay drilled out of them and get their fillings. It took me a month just to get up the guts to make the appointment and now the doom is officially impending. The writer of Hebrews tells us that “the word of God is living and active, sharper than any two-edged sword, piercing to the division of soul and of spirit, of joints and of marrow, and discerning the thoughts and intentions of the heart.” (4:12) Submitting yourself to daily appointments in the Word is like signing up for surgery. My sin is forgiven, but that doesn’t mean the Doctor is going to just brush it off and allow it to continue to hurt me and hurt others – He’s gonna go to work. Sure, I could try ignore or deny it, but eventually the pain would overtake me. I need this surgery – I need Him to do His work and replace the decay with the filling of His presence, His love, and His healing! I wanna be in the light, not because it’s where some perfectly obedient future version of me is, but because the God of steadfast love and mercy is there. I wanna be in His bright light, because that’s where I see the truth of who I really am – and where who I really am can be changed by Him.